In this article, we have provided Micromax A67 flash file to fix software related issues. You can flash stock ROM on Micromax A67 by following below guide. This guide is about flashing pac ROM using SPD upgrade tool for Spreadtrum chipsets. Take bachup of all files, as this process erase all internal storage data. follow all steps exactly , incorrect step may lead to brick/damage your device. Step1: At first, download Micromax A67 flash file from below download section. Step2: Now, download spd flash tool from this link. 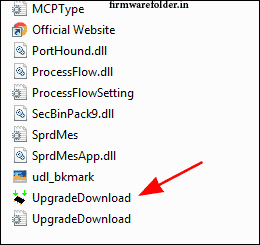 Step4: Now, from the list click on download upgrade option. Step5: Here, SPD flash tool window shows on your screen. Step6: Turn off your phone and connect it to the computer using the USB cable. Step7: In SPD upgrade tool click on Load Packed button on the top side. Step8: select downloaded pac of your device ROM and open it in SPD tool. Step9: Once, pac file is added, click on start downloading button. Step10: wait for the process to be completed. During the process, your device may restart automatically several times. Step11: After successful flashing, you can now see the green colored success message. 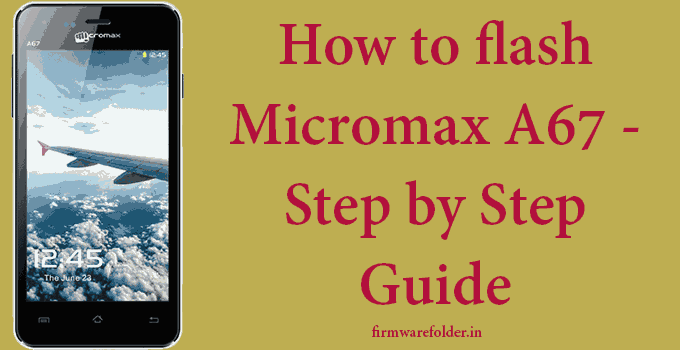 Step12: Now you have successfully flashed Micromax A67 stock firmware on your device. You can now turn ON your device and check the Android version. I hope this article helped you in Micromax A67 flash file. Visit again for more phone related queries.